It is the time of year that the necessary chore of cutting the grass of any green space that you are responsible for begins. Indeed, here at Unique Cottages, the office Flymo was dragged out of hibernation in the garage and put to work in the garden this morning! However, with much of Scotland’s fine landscape covered in greenery, some of it very remote and hard to access for even the most robust of mowers, a more imaginative approach has been required for one particular east coast beauty spot. Many horses this weekend will be traveling great distances in order to race in the English Grand National (there is a Scottish Grand National, but not until next weekend). But none have probably travelled quite so far as the newest residents of the Loch of Strathbeg nature reserve in Aberdeenshire. Rare wild Konik horses have been brought all the way from Holland to help with the battle against the coarse grasses of the area taking over. The last descendants of the truly wild horse, which last ran free in Scotland approximately 6000 years ago, these remarkable animals love nothing more than eating their way through the coarse grasses, which, if left uncontrolled begin to impact on the more delicate habitats of the area. Reducing the need for vegetation to be artificially stripped away by mechanical devices, this tiny herd will help to ensure that many of the other wild inhabitants of the nature reserve continue to enjoy the unique environment that Loch Strathbeg provides. Loch Strathbeg, a designated Special Protection Conservation Area, is the largest dune loch in Britain. There are hides where visitors can watch the natural residents as well as an information centre where you can find out more about what you spied. The loch is looked after by the RSPB and more details about the variety of wildlife that lives here can be found on their website. Aside from the reserve itself there is much to be enjoyed in this attractive part of the country, to the east is the Cairngorm National Park, to the north and west is an inviting stretch of Scottish coastline which boasts the title of ‘sunniest corner of Scotland’! 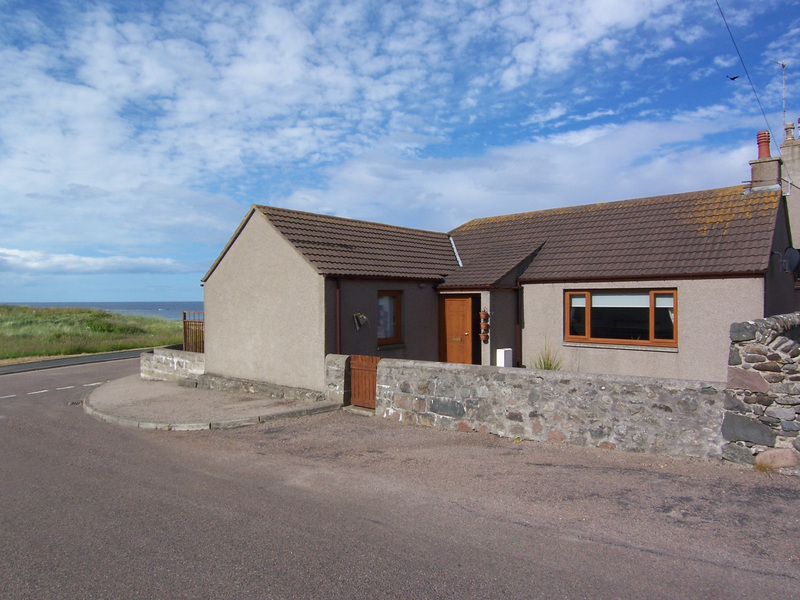 Unique Cottages has two fabulous properties not far from Loch Strathbeg, Cairness Lodge and Beach Retreat both ideal bases to explore this charming region. Previous PostHappy Scotland Week!Next PostGreat News!